Comcast and Ciena completed a live field trial of a 1 Terabit/sec optical transmission spanning nearly 1,000 km over Comcast’s existing long-haul fiber infrastructure connecting Ashburn, Va. to Charlotte, N.C. The 1 Tbps trial, which took place during the first week of October, carried live data traffic over a 1 Tbps 16QAM super-channel. At the same time, that network was also carrying customer traffic over 10G, 40G and 100G wavelengths, all coexisting on a mix of flexible and 50GHz-spaced fixed grid channels. The trial used Ciena’s 6500 Packet-Optical Platform solution that combined flexible grid Reconfigurable Optical Add/Drop Multiplexers (ROADM) with 16QAM coherent modulation to achieve 5b/s/Hz of spectral efficiency over a distance of nearly 1,000 km of uncompensated ELEAF fiber. Ciena’s next generation Raman and programmable gain amplifiers, the newest addition to the WaveLogic intelligent coherent portfolio, provided optimized performance and system reach. The trial ran in parallel over the same optical infrastructure that supports a combination of HD video, Internet and voice traffic on Comcast’s existing 100G national backbone. Comcast has been leveraging Ciena’s coherent 40G and 100G technologies across its national fiber network since 2009. Ciena’s packet networking solutions also support Comcast’s Metro Ethernet services offering. 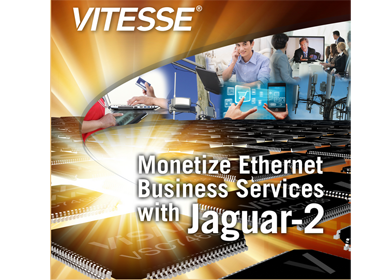 Vitesse Semiconductor introduced its Jaguar-2 single chip solution for MEF Carrier Ethernet 2.0 business services over public and private cloud networks. 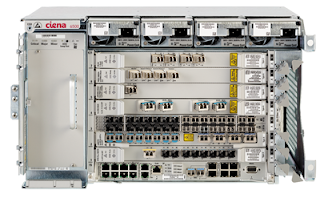 Jaguar-2 features 48 Gigabit Ethernet ports, 24 2.5G ports, up to four ports of direct connectivityto 10G optical modules and Layer-3 routing support. Sampling is expected to begin later this quarter. Jaguar-2 leverages Vitesse Service Aware Architecture (ViSAA) to enable advanced Operations, Administration and Maintenance (OAM) and Service Activation Testing (SAT) capabilities, including wirespeed RF2544 and Y.1564. VeriTime, which is Vitesse's high accuracy IEEE 1588v2 Precision Time Protocol implementation for nanosecond-accurate network timing and synchronization. 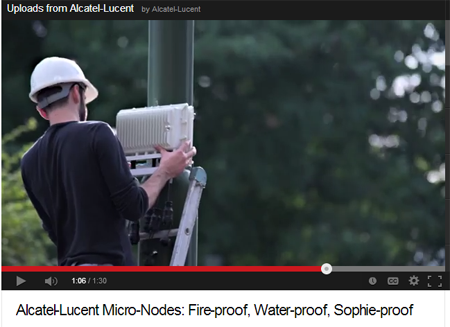 Accurate timing and synchronization is mission-critical for next generation networks. Carriers are migrating to packet-based timing architectures, including IEEE 1588, for the advantages it offers over traditional synchronization techniques. This video discusses the evolution of network timing (0:51), IEEE 1588 (2:02), 1588 and Small Cell Architecture (2:29), LTE-Advanced Timing Accuracy Requirements (3:22), Differences in 1588 Implementations (3:50), and Vitesse's VeriTime solution (4:41). Th Global mobile Suppliers Association (GSA) confirmed that 222 operators have commercially launched LTE services in 83 countries. 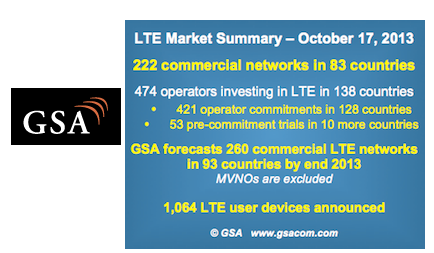 109 LTE networks were commercially launched in the past 12 months. 474 operators are investing in LTE in 138 countries, including 421 firm operator commitments to build LTE networks in 128 countries, plus 53 additional operators engaged in various trials, studies, etc. in a further 10 countries. The most widely used band in network deployments continues to be 1800 MHz (band 3) which is used in 43% of commercially launched LTE networks. The next most popular contiguous bands are 2.6 GHz (band 7) used in 30% of networks, followed by 800 MHz (band 20) which is used in over 12% of networks today. Interest in the TDD mode is strengthening and global. 23 LTE TDD systems are commercially launched in 18 countries, of which 11 that have been deployed in combined LTE FDD & TDD operations. "Having globally aligned spectrum bands is a great result for end consumers, as these make international roaming easier, and help drive early device availability. 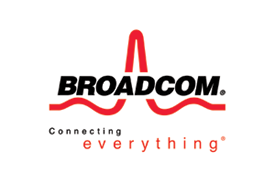 Adoption of the APT700 MHz band plan represents a major opportunity for regional and global spectrum harmonization that could deliver the benefits of economies of scale for end-user devices," stated Alan Hadden, President of the GSA. 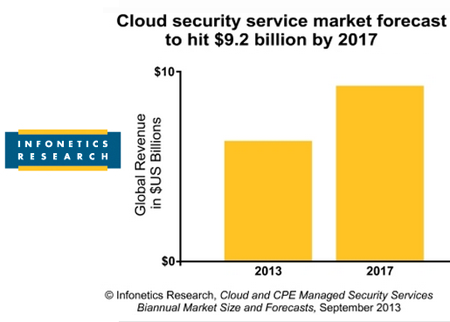 As IT infrastructure continues its march into the cloud, security will follow: cloud-based security service revenue is forecast by Infonetics to grow at a 10.8% compound annual growth rate (CAGR) from 2012 to 2017, to $9.2 billion. 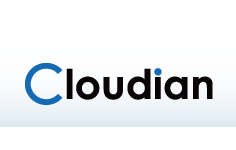 Cloudian, a start-up based in Foster City, California, announced Series B funding from Intel Capital. Cloudian develops software for distributed object storage in cloud and enterprise use cases. Cloudian aims to help enterprise IT and cloud service providers (CSPs) to deploy turnkey multi-tenant private and public object storage systems on commodity IA servers, scaling from two servers to exabytes across multiple datacenters with high reliability and elasticity. Cloudian is actively partnering with leading cloud computing environments including Citrix Cloud Platform, Apache CloudStack, and OpenStack, cloud on-ramp providers, and the vast ecosystem of tools and applications that is afforded through true S3 compatibility. Cloudian's customers include Vodafone, Nextel, NTT, Nifty, and LunaCloud. The company has additional offices in China and Japan. "Cloudian puts the power of on-premise object storage and S3 application ecosystem into the hands of IT professionals at enterprises and managed service providers," said Michael Tso, co-founder and CEO, Cloudian. "We are thrilled to have Intel's support in our quest to deliver Cloudian globally through distributors and channel partners, bringing Cloudian's rich features and economics to private, public, and hybrid clouds." ZTE reported a net profit of RMB 552 million (US$90.69 million) from January to September, with basic earnings per share of RMB 0.16, in line with the company’s earlier forecast. Revenue dropped 10% to RMB 54.66 billion (US$8.98 billion). ZTE posted a quarterly profit after extraordinary items in the July-September period, ending a negative sequence that began in the second-quarter of 2012. 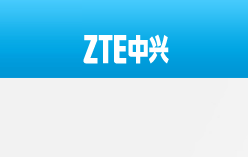 ZTE forecasts the company will post a full-year net profit in 2013, after a loss in 2012. There was positive operational cash flow reported in Q3, following a sequence of negative cash flow in the July-September periods in 2009 to 2012. Capital investment by global telecom operators remained sluggish, with spending focused on 4G networks and the construction of broadband networks, and their ancillary transmission networks. In the China market, large-scale TD-LTE network construction will drive investment opportunities for solution providers, while the ongoing implementation of the Broadband China strategy would provide policy support for the development of high-speed broadband infrastructure nationally, ZTE is in a strong position to capitalize on these market opportunities by building our competitiveness and working closely in tandem with the operators. Internationally, ZTE continued to focus its efforts in major and globally-leading carriers, and gained strong momentum in key sectors such as enterprise and government ICT solutions, services and mobile devices, while consolidating its share of the telecommunications network infrastructure market.